Richard Stepien was named the P&BA 2007 Man of the Year. The announcement was made at the Swieconka function on April 18, 2007. Richard Stepien has been a member of the P&BA since 1999. He immediately became pro-active and has since made numerous contributions to our Association. Richard is in his sixth year serving on the Board of Directors. 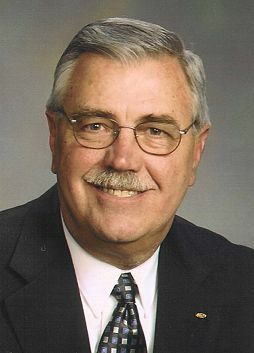 Richard served as President in 2005 and 2006 and held other Board offices during his tenure. While serving as President, he made numerous contributions to our association. He chaired several fund raisers to strengthen the financial assets of the P&BA. He assisted in improving our organization’s programs, resulting in superb attendance. Under his direction, contributions to churches, hospitals, and a variety of community projects were increased. Our Man of the Year served on numerous association committees and chaired many of our successful events. Outside our association, the 2007 Man of the Year is an Executive Vice-President in his workplace. He is a member of the Knights of Columbus and the Elma Businessmen’s Association. He donates his time and effort to Make A Wish Foundation, Friends of the Night People and contributes to the United Way with a donation of the Friendship Vans. Our organization continues to be successful as a result of Richard’s continued efforts to ensure the growth Polish Heritage.